Hello, students want to do take admission in Bihar Polytechnic/Engineering Colleges here is all information about it. Students of Bihar who completing the Class Xth and inter for better job scope wish to take admission in PE/PPE Courses. For avail admission in this courses first, need to apply online BCECE Polytechnic, Bihar DCECE PE or DCECEB PPE courses. 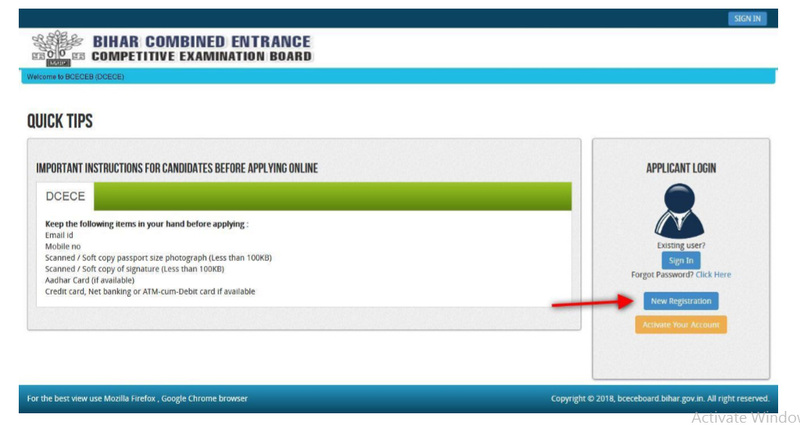 If you also want to download the completed official notification for apply Bihar Polytechnic it can download from the official website of http://bceceboard.bihar.gov.in link of Apply for DCECE[PE/PPE/PM/PMD]-2019. which will active soon for aspirants to apply. This all about for the students who this year has given the class Xth or XIIth Board Examination and wish to get admission in Polytechnic courses. Aspirants who are going to apply online they are suggested to before proceeding online process of Bihar Polytechnic Examination Entrance Test required details. Your scanned signature using Blue/Black pen on a white sheet (jpeg under 100KB).